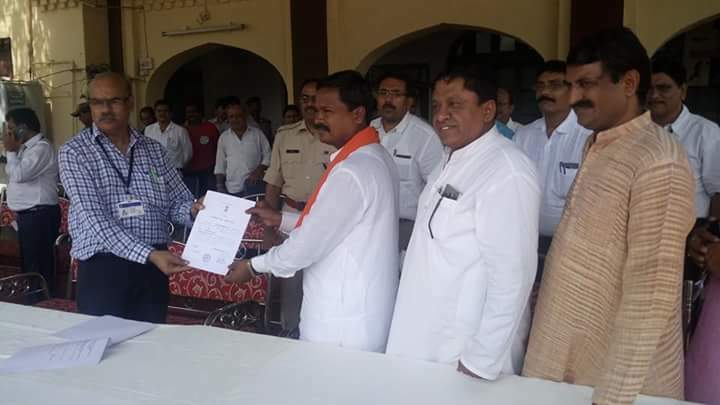 BHOPAL: BJP’s Mangal Singh Dhurve won Ghodadongri seat (Betul district) in assembly by-polls, declared on Thursday. Dhurve defeated Congress’ Pratap Singh Uike by a margin of 13,334 votes. BJP has decided not to celebrate its victory as Member of Parliament from Shahdol Dalpat Singh Paraste passed away after prolonged illness on Wednesday evening. His last rites would be performed on Thursday. Death of sitting MLA from Ghodadongri, Sajjan Singh Uike led to by-elections on the seat. Congress candidate Pratap Singh Uike got 69,122 votes while BJP’s Dhurve managed to get 82,304 votes; winning election by a margin of 13,334 votes. BJP national president Amit Shah congratulated MP BJP team through a tweet. State president Nand Kumar Chouhan gave credit of victory to CM Shivraj Singh Chouhan and added that party would make no celebrations as last rites of Shahdol MP Paraste would be held the same day.